A Japanese domestic market Mini Cooper with a German supercharger sourced from England, packed with Japanese parts only to be run by an Australian ECU on Ethanol. Mighty Car Mods’ perfect Mini Cooper is one sweet ride. 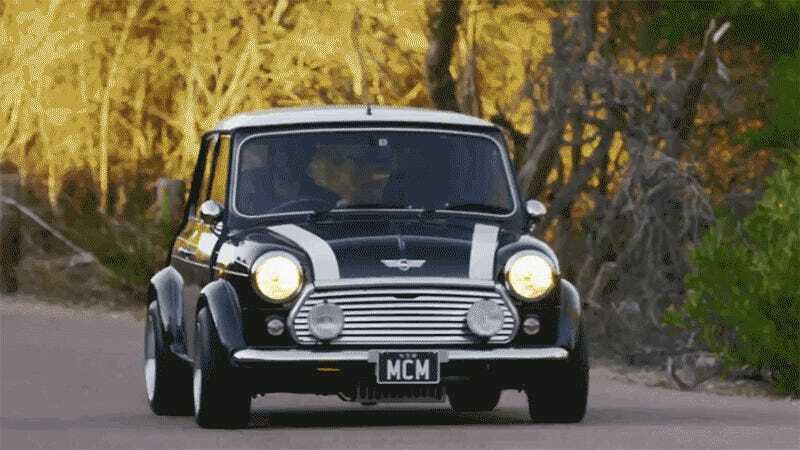 When MCM started this project, I was surprised to learn that the BMW Mini’s supercharger can be fitted to the original car’s ancient BMC A-series engine. An Englishman came up with the idea, which is an interesting twist if you’re familiar with Rover’s history. Supercharging the Mini: Step 1, Step 2, Step 3, Step 4, Step 5, Step 6, Step 7 and Step 8. You can’t compete with light weight. Just ask Gordon Murray.